Iron overload in the horse is a currently popular topic. Iron was one of the first minerals recognised as being required by the horse. The ancient Greeks recognized iron deficiency anemia and were said to place an iron sword in water to correct the symptoms of iron deficiency. As early as 1886 it was known that pure crystals of horse hemoglobin contained 0.33% iron. In yesteryear, horsemen would put an old horseshoe into a bucket of water where the oxidising of the shoe would leach iron into the water. Iron is more precious than gold when it comes to life. Though iron in the body is recycled and redistributed, small losses do occur. Iron is lost each day through sloughing of cells from skin and mucosal surfaces e.g. the lining of the gastrointestinal tract. There are also losses via hair (the horse has two coat changes per year; summer and winter) and via sweat and urine. This steady loss means hat horses must continue to absorb iron. They do so via a tightly regulated process that under normal circumstances protects against iron overload. Iron absorption is increased when there is a decrease in circulating iron in the blood caused by anemia other than from blood loss or iron deficiency. It is also accompanied by a shift of iron to the tissues. So the total amount of body iron remains constant and is merely redistributed. When dietary intake is high the body limits absorption. An absolute increase in body iron and enlarged iron stores only occur when there is excessive iron intake e.g. injection or over consumption or when absorption is increased by acids e.g. vitamin C and cider vinegar. Therefore, iron toxicity from ingestion is usually the result of extraordinary circumstances rather than variations in diet. Excessive intake over a period of time results in an internal redistribution of iron from tissue to the liver which becomes progressively loaded with iron. When the capacity of the liver to store iron is exceeded, iron is stored in the kidneys, heart and pancreas. That iron in large amounts is toxic to tissues is suggested by the occurrence of fibrosis, which compromises that organ’s ability to function. The main role of iron in the body is the production of red blood cells and of haemoglobin binding to the oxygen and facilitating its transport from the lungs via the arteries to all cells in the body. Iron is also needed for the conversion of blood sugar to energy and in the production of enzymes that play a role in the formation of new cells, amino acids, hormones and neurotransmitters. Iron helps to combat heavy metal poisoning and aids the immune system by maintaining T-Cell production, a class of antibodies that fight bacteria and viruses. Iron deficiency causes tiredness, decreased energy and attention span, decreased voluntary activity and lowered immunity. Signs of iron toxicity include colic from severe mucosal damage in the gastrointestinal tract, arthritis, nose bleeds, fat mal-absorption, tumours and liver failure. Excessive amounts are 1000mg per kg of the diet = 100000mg. Iron is available to the horse from concentrate feed, forage and grazing or is found in a wide number of specific and general nutritional supplements. Non heme sources of iron (not animal derived), including all grass, hay and grains, have a very low rate of absorption varying from 2%-15%. Even soils that may have a high iron content do not necessarily ensure that available iron in the plant will be high. Factors that may affect iron homeostasis are genetics, management issues and disease e.g. Phytates, found in cereals and oxylates (kikuyu) inhibit the absorption of iron. Horses will also ingest some iron if grazing closely cropped grass/vegetation and from soil and water intake. Lucern that has a high calcium content and supplemented iron will decrease absorption as will tannins e.g. browsing wattle. Vitamin A limits ability to use stored iron and vitamin C and acids e.g. vinegar increase absorption. 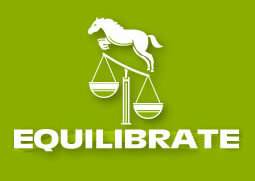 Equine metabolic syndrome and liver disease are diseases that are affected by iron levels. Interactions, imbalances and competition with other minerals with can occur e.g. cobalt, manganese, molybdenum, sulphur, zinc, selenium, and lead. 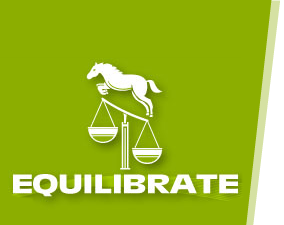 Equilibrate-Nutrition for the Balanced Horse CHF and COMPLETE have minimal inclusions of iron.